None of them were originally from Memphis, but around thirty years ago they were drawn to the city, one-by-one. 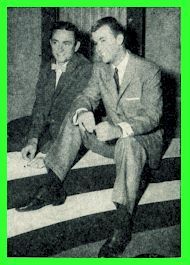 Carl Perkins arrived from nearby Jackson, Tennessee. 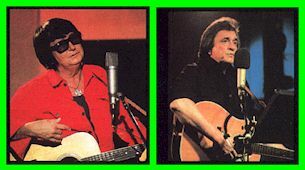 Then came Johnny Cash Arkansas, Jerry Lee Lewis up the river from Louisiana and, finally, Roy Orbison from Texas. They were all following the footsteps of Elvis Presley. 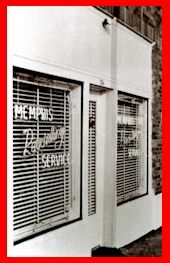 Like Presley, they recorded for producer Sam Phillips at the Sun Records Studio on Union Avenue. Out of a small 18-by-30 foot room they created a new music called rockabilly that blurred both musical and racial divisions. Who can forget Lewis "Whole Lotta Shakin Going On" Perkins "Blues Suede Shoes" Orbinsons "Ooby Dooby" or Cash "I Walk The Line" these songs help spark a revolution in popular music that was echoed in other American cities throughout the mid fifties. 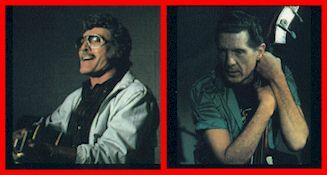 Eventually these four artists, each singular created force into himself, left Sun Records for seemingly greener pastures. Like Presley, their personal lives seemed marked by an unlikely degree of tragedy and their careers suffered too from ups and downs. The record industry grew and Cash was labeled a country artist and Roy Orbison pop. Lewis was first a rock n roller and then country and Perkins swang back and forth. They spent two days in the original Sun Studio where their careers had begun thirty years ago and then two more of the American Studio. Working with them was the 827 Thomas St. Band that Moman had created an incredible string of hits with in the late sixties. It was an emotional four days as memories were stirred, friendships renewed and red real Memphis music-gloriously free-sprit and raucous, soulful and poignant  was again record. These "homecoming sessions" were hardly over prepared. Songs were often picked and arrangements were fashioned in the studio. Producer Monam led with the simple faith that given respect and freedom, the best music in these mens hearts would flow as surely as the Mississippi heads for the delta. The character of the music made isnt easily relegated to one style or a certain audience. Here folk and country, blues and gospel, pop and rock n roll flowed together into a sound best called simply American music. Theres no doubt that during this historic event, Cash Lewis, Orbison, and Perkins  singing alone together reconnecting with Memphis great musical history and summoned up the spirit of their own greatest work. But what was created was deeper than just hit records. 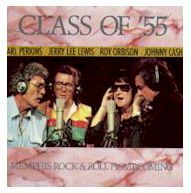 You can hear it in the wistful melancholy of Lewis version of the Crests "doo-wop classic "Sixteen Candles" its there when Perkins recalls long-lost high school love in the "Class Of 55" and Ace Cannon blows a sad and Smokey sax solo right through your heart. And its there when Roy Orbison raises his sweet and exquisite tenor in "Coming Home" a promise that soul of this record. What this music is about is a refusal to let the best of our American past  our best music, deepest tradition and truest friendships simply slip out of our lives. 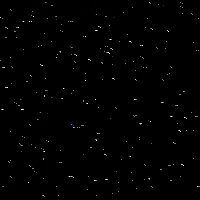 Its a gospel ballad, "We Remember The King with Johnny Cashs baritone rumbling with the force of the ages, that most forcefully reminds us that our past and our losses remain a living a living part of our present. Its not just the aching remembrance of things sad and past that marks the spirit of this record, though. Theres also the pure rowdy fun of Memphis rock n roll kicking and swinging in these grooves. Whether its Lewis storming with swaggering bravado through "Keep My Motor Running" or Perkins ripping off those mean spluttering guitar solos in "Birth Of Rock N Roll" the Memphis beat live, forever young. It was a fitting ending a revelrous tribute to Memphis incredible musical legacy of jazz, blues, country, gospel, rock n roll and soul music. This album is now part of that legacy.